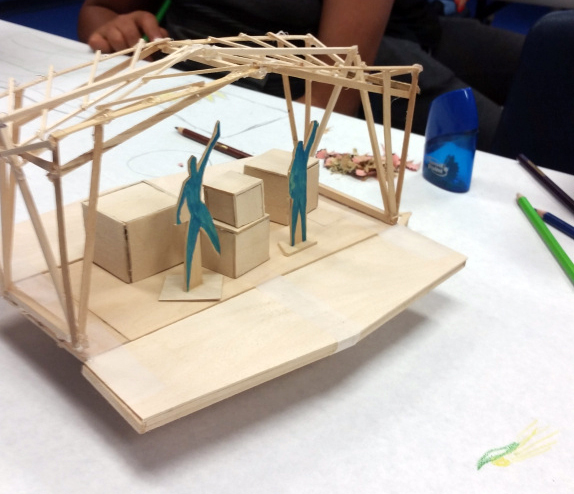 The 2015 Asheville DesignBuild Studio project will be the completion of a mobile “unfolding” community arts stage or U-LEAF Community Stage. It will be a mobile stage designed to greatly compliment the efforts of LEAF Schools & Streets and the Easel Rider local arts-education programs. 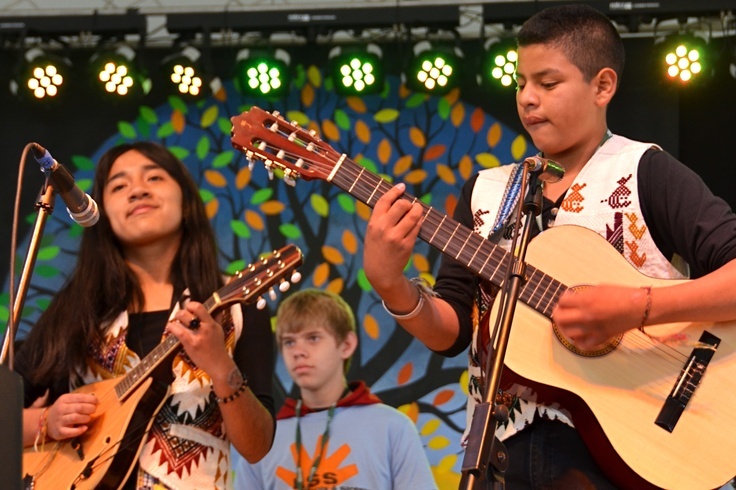 U-LEAF will provide a pivotal resource to support LEAF’s mission of connecting cultures and creating community through music and arts throughout the Asheville region. It will provide access and open invitations for performance to arts education programs, underserved communities, and collaborative partners. The stage will provide a positive pathway for youth to express their creativity – developing confidence, skills, and teamwork as they prepare to perform. Recognition of youth within the community supports healthy youth development and builds positive community interaction. U-LEAF will also expand the possibilities and presence for the Easel Rider events throughout the city. Currently, when the Easel Rider offers neighborhood programming for arts engagement, a LEAF performing teaching artist often accompanies them; however, their interaction or performance is limited to a 10×10 tent space with little opportunity to showcase the dynamic talents of teaching performers and youth alike. U-LEAF can elevate these performance opportunities; therefore, deepening the impact of music and arts education in the communities we serve. LEAF partners and collaborates with a vast variety of organizations primarily serving communities with limited and strained resources. All of these communities can greatly benefit from U-LEAF, through providing access and availability to serve the needs of key partners producing positive events. The U-LEAF will give in so many ways. (Note: in the majority of our partnerships and Easel Rider program the costs are covered by LEAF, and free to our partners).